Great scene from a really good movie. I remember when I was young reading that critics liked this movie saying it had a good story line and strong production values. I like the picture of the beautiful Gianna from the one and only HERCULES. This is an excellent choice. 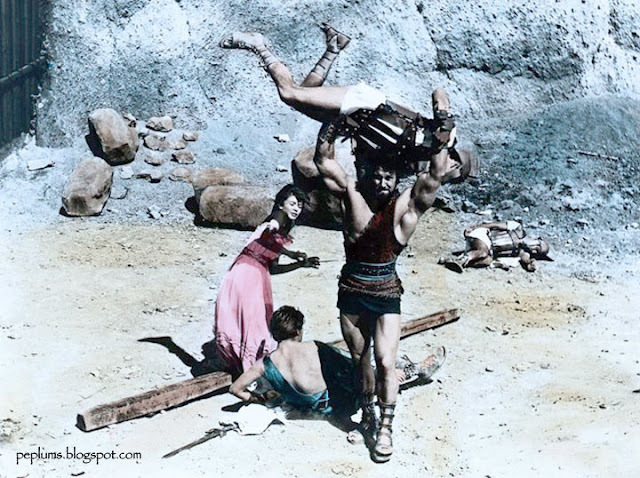 Yes, HERCULES & CAPTIVE WOMEN has top production values. And it's often derided by the MS3TK bunch which I don't like. It doesn't deserve it.